Okay, first up I have never seen the play of An Inspector Calls and from what I can remember never studied it at school sadly, instead having to pick through the well eaten corpse of Shakespeare and Dickens, so when I saw this advertised on the BBC a few days ago I thought I would give it a watch. And within fifteen minutes I was hooked! Within half an hour I was totally gripped and sussed out who Inspector Goole possibly was but none the wiser to his intentions personally? As the truth came out from each character as to their connection with the victim; Eva Smith, you see their lives unravel as the true implications came to them of what they had done to someone who needed their help, only for it to be refused or not wanted. She was treated horrendously by those who thought little of others they deemed beneath them whilst some were confused about what they thought of her. As for the Inspector, he wrapped the ‘suspects’ around his little finger and got deep inside their souls only for them to refute him and his claims once he had gone. Two though did not and believed him. This production was quite simply stunning! It had everything I could wish for in a drama by the BBC. It was a classic mystery set in a mansion of the wealthy with a moral tale to tell and an antagonist that leaves you guessing right until the end and long afterwards too. 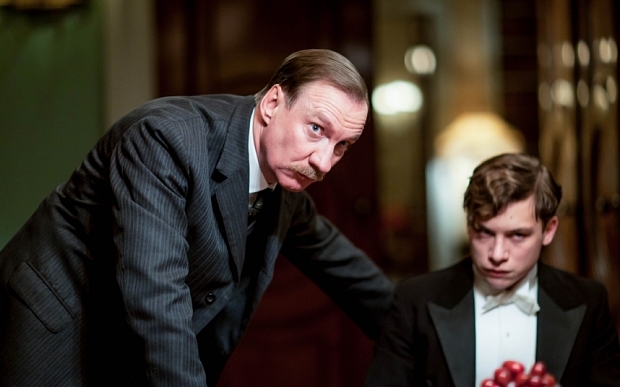 All the cast were on top form especially David Thewlis as the mysterious Inspector Goole. I got the impression he enjoyed every minute of his screen stealing scenes. I quite simply loved it and want to watch it again and again and again. Of course I will need to see the play too and I will definitely need to own it in written form too. Whilst many people slate the BBC and they themselves wish to cut back on channels such as BBC3 and BBC4, as well as chop and change BBC1 and BBC2, I for one wish them to keep those channels and put quality production like this on there. 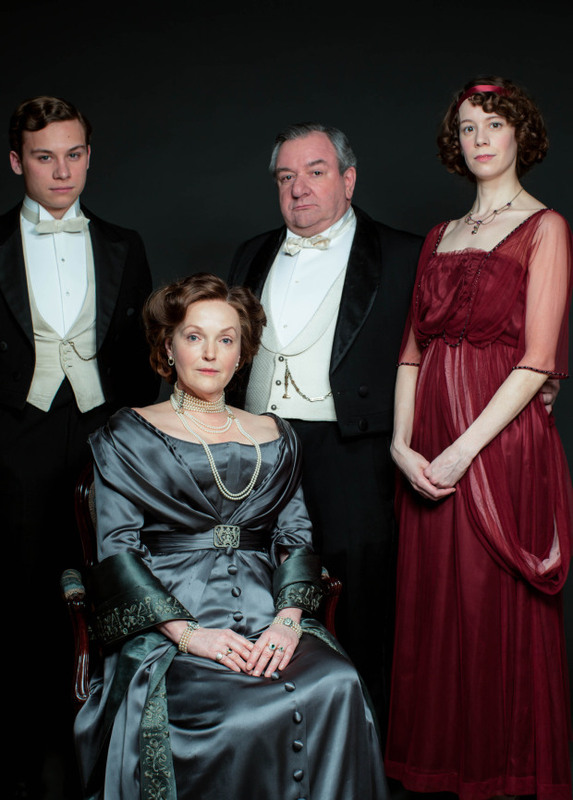 All involved in An Inspector Calls should be congratulated on such a well produced drama of the highest quality. Well done BBC, you did good. You can watch it on iplayer if you have not already seen it yet for a limited time only.